21 Brix Winery is Lake Erie Wine Country’s newest addition. 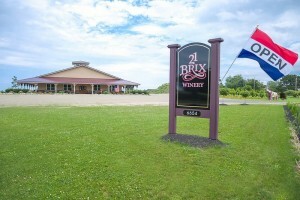 Having opened its doors in September 2011, 21 Brix Winery is situated on Route 20 between Fredonia and Westfield. The winery is part of Olde Chautauqua Farms, which is one of the largest wine grape farms in Chautauqua Country, growing over 12 varieties of vinifera (wine) grapes as well as operating a U-Pick cherry orchard and asparagus patch. Many of the grapes grown on the farm are used to create the wines, including Riesling, Cayuga, Niagara, Fredonia, Noiret and Gewurztraminer. 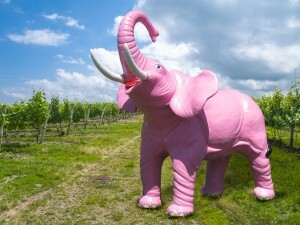 The winery currently has dry, semi-dry, sweet and fruit wines available at the winery, and brings a variety of award-winning wines to the Bidwell Market for tasting. The winery is co-owned by Mike and Marion Jordan, owners of Olde Chautauqua Farms as well as Kris Kane, who is also the winemaker. Kane has worked as a winemaker for the past seven years, including assisting with a harvest season in Australia.